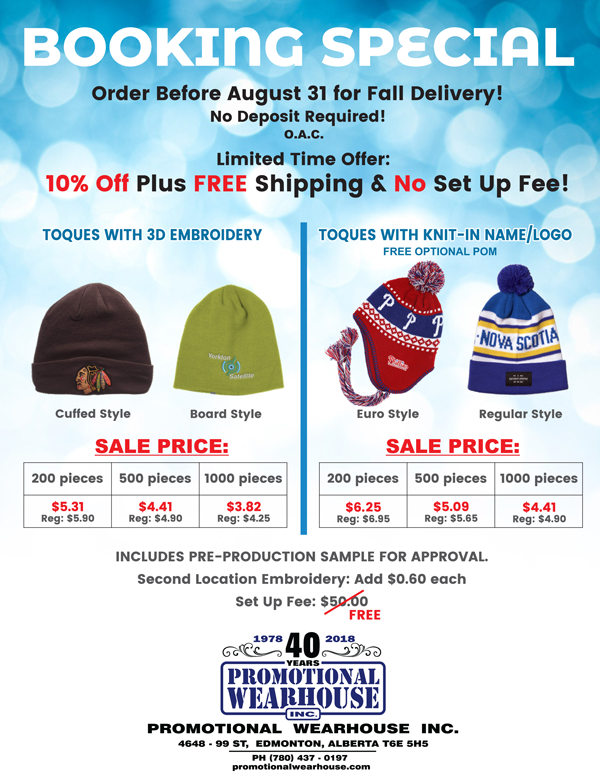 Save 10% on Logo'd Toques - Book Now for Fall Delivery! Even though summer is still here, winter will be here soon enough. Don't get caught with chilly ears - secure your order of logo'd toques today for Fall delivery! 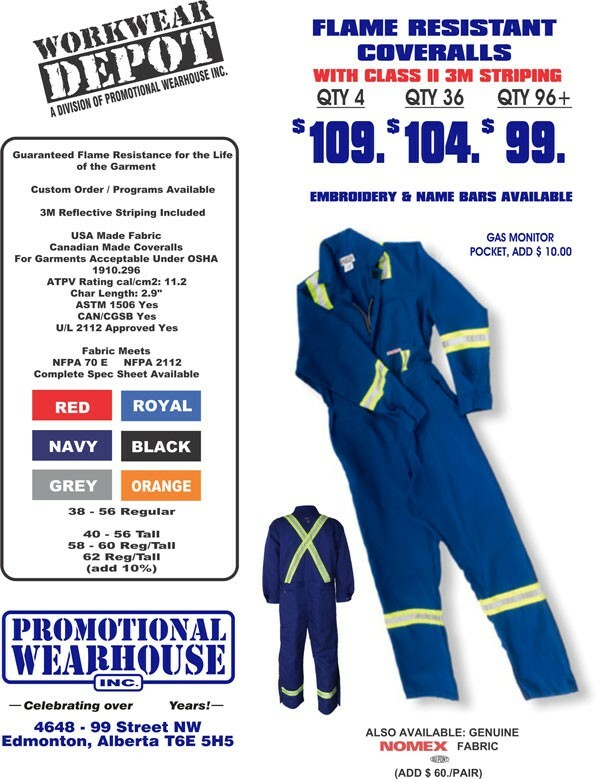 Call today to receive 10% off your order and get FREE shipping. Not only that, but we'll also waive the set up fee for any orders received during this booking special. How's that for a COOL deal?